Every war hero deserves to have their story told and preserved in a respectful and dignified manner. Vision of Vets is accomplishing this in a unique way. We are not only capturing the stories of veterans that span across 13 different wars and conflicts, but are bringing them to life with the use of new technology. We are calling this photo-to-video project Portraits of Courage and Conviction. Our board and staff have worked hard to make this idea a reality and we want to share it with the world. Join us in our mission to light the spark of patriotism in the hearts and minds of our nation's youth. Can you support us in achieving this? There are many expenses that go into the creation of a Portrait of Courage and Conviction. Vision of Vets relies on community and individual support to ensure that veterans and their families receive a quality portrait that can last for generations and through the test of time. Being able to capture our heroes is what Vision of Vets strives for in order to bring their portraits to life in such a unique way. 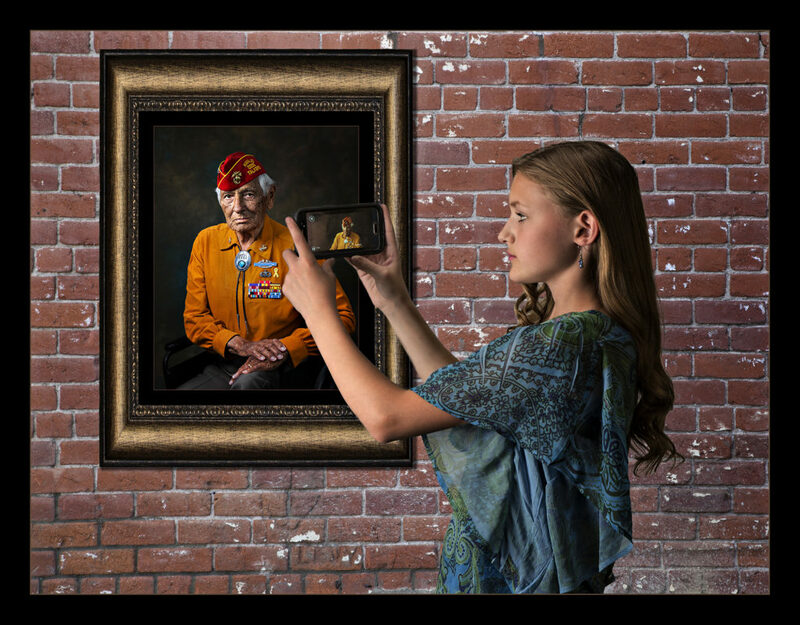 Vision of Vets understands the critical need for families to have such a memento of their loved one and our veterans appreciate their memories being captured in such a respectful manner. We thank you in advance for your contribution to our organization and mission. No amount is too small and every donation goes a long way in meeting our goals of ensuring all veterans receive a wonderful portrait. We also encourage you tell others about our organization's important work, and look forward to continuing to build community and corporate sponsorship and partnerships.